Green Comotion: Doing the "right" thing! At work, I am a member of the "Green Team". GT brainstorms ideas and comes up with ways to make both the employees and the company, "green". As a part of publicizing the Green Team, today we had a Green Team event. 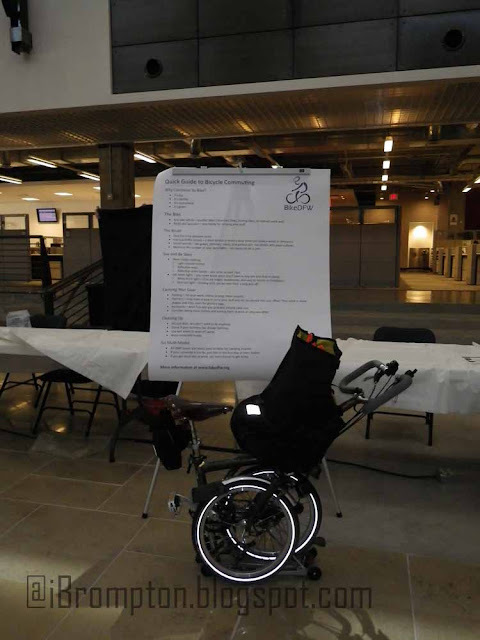 At this event, we had several booths setup, with each booth highlighting one way of reducing one's carbon footprint. 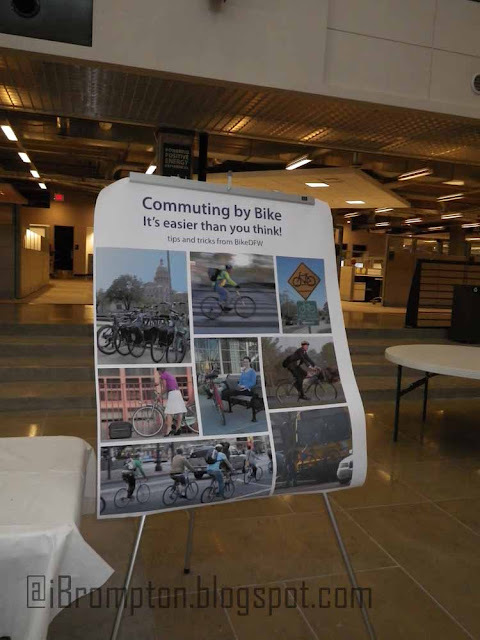 In addition, I had two great posters on Bicycle Commuting (courtesy of BikeDFW; thanks, Marc). The second poster, talked about Bicycle Commuting in words. Topics covered were: a) Why Bicycle Commuting?, b) What kinda bike to use?, c) How to see and be seen, d) How to carry gear, e) Cleaning-up at the destination, and f) How to go Multi-modal. All these with a DFW Bicycle Commuter in mind, of course! In addition to the visual aids, Brahma personally participated the event and that got both of us a lot of complements. There were other booths. 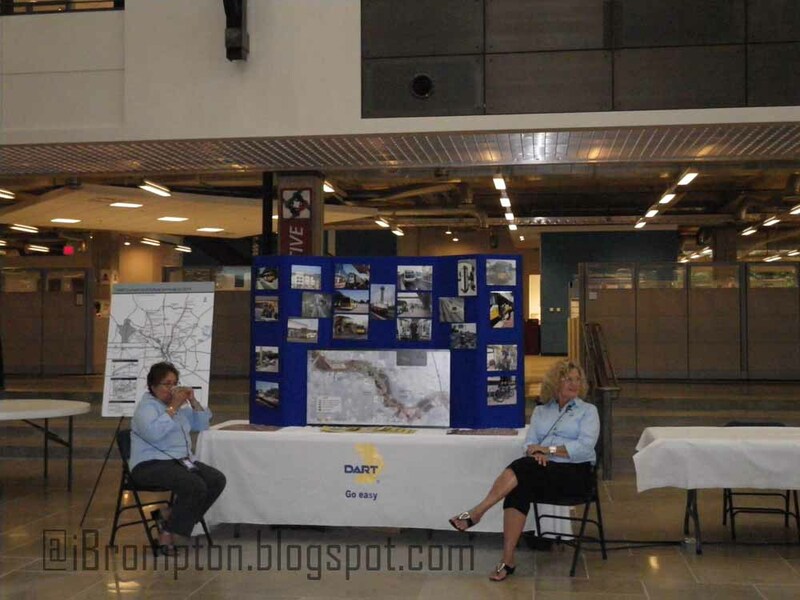 For instance, we had invited DART to participate and educate people of many ways to commute to work, including mass transit and using DART as a part of a multi-modal commute. We had our Van Pool provider at one of the booths. 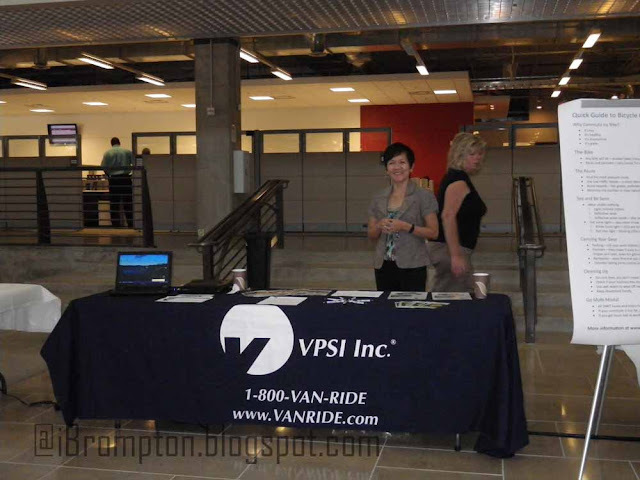 VPSI is one of the largest, if not the largest, Van Pool providers in the country. VPSI talked to participants about van pooling and answered questions. In addition, VPSI brought one of their commuter vans (which was quite luxurious, for a commuter van, if you ask me) for people to check out. We had great turnout. I needed 4 centipedes to count the number of participants, without using the same centipede twice, to count. It was a great event and we had a ball. There weren't any very difficult questions. Some people wanted to know if I had any printed route maps, which I didn't, for one big reason: It is a Green Event :) But, I directed such questions to well know forums such as the DORBA Commuter Forum, and other tools such as Google Maps. In addition, I assured them that they can contact me if they really needed help with a particular route. I played a lead role in bringing DART and VPSI Inc., to our Green Team event and I got a lot of personal satisfaction out of the event. It was a great day, indeed! Hope your day was great as well! 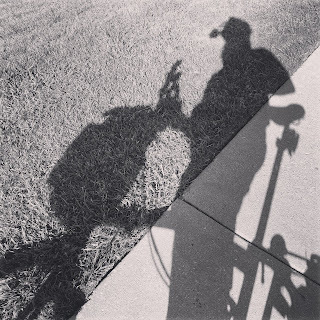 Pursuit of Happiness - The Brompton Way!